A year ago, Danny Ryan lost his wife and son in a car accident. He’s still reeling from the tragedy when Michael Cohen, his friend and fellow journalist, drives into the pond in front of his house with a bullet through his gut. With Michael’s death ruled a murder, Danny must work to get his name crossed off the list of suspects, and that means digging into Michael’s last article, an expose of the twisted side of Philadelphia politics. But powerful people are ready to kill to protect what Michael was about to uncover, and if Danny’s not careful, he’ll be next. 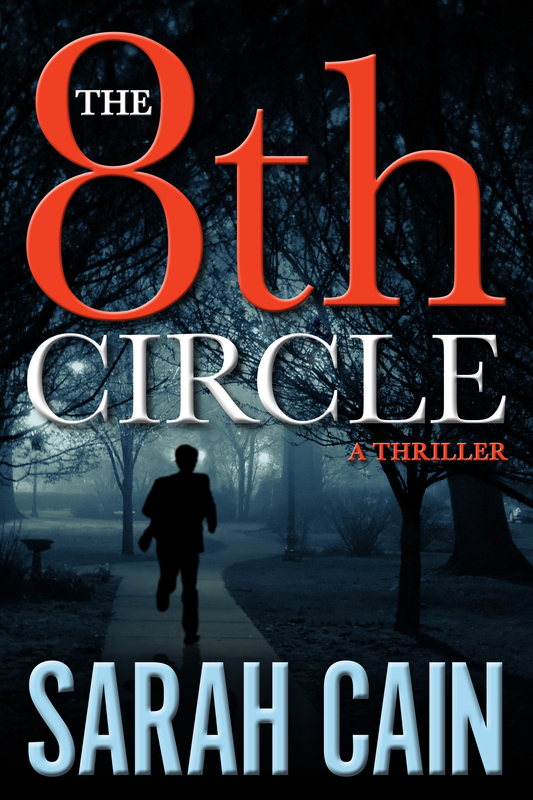 The dark heart of the city is on display in Sarah Cain’s gripping debut thriller, The 8th Circle. –Ace Atkins, former crime reporter turned New York Times bestselling author of Robert B. Parker’s Kickback and The Redeemers. 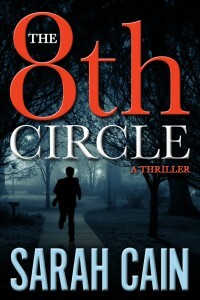 ”With The 8th Circle, Sarah Cain brings her knowledge of politics and journalism to bear in a twisty, winding thriller in which nothing is as it seems.